From Aikido, Kisshomaru Uyeshiba, Hozansha Publishing, Tokyo, 1963. As ai (harmony) is common with ai (love), I decided to name my unique budo "Aikido", although the word "aiki" is an old one. The word which was used by the warriors in the past is fundamentally different from that of mine. The secret of Aikido is to harmonize ourselves with the movement of the universe and bring ourselves into accord with the universe itself. He who has gained the secret of Aikido has the universe in himself and can say, "I am the universe." I am never defeated, however fast the enemy may attack. It is not because my technique is faster than that of the enemy. It is not a question of speed. The fight is finished before it is begun. When an enemy tries to fight with me, the universe itself, he has to break the harmony of the universe. Hence at the moment he has the mind to fight with me, he is already defeated. There exists no measure of time, fast or slow. Aikido is non-resistance. As it is non-resistant it is always victorious. Those who have a warped mind, a mind of discord, have been defeated from the beginning. Then, how can you straighten your warped mind, purify your heart, and be harmonized with the activities of all things in Nature? You should first make God's heart yours. It is a Great Love, Omnipresent in all quarters and in all times of the universe. "There is no discord in love. There is no enemy of love." A mind of discord, thinking of the existence of an enemy is no more consistent with the will of God. Those who do not agree with this cannot be in harmony with the universe. Their budo is that of destruction. It is not constructive budo. Therefore to compete in techniques, winning and losing, is not true budo. True budo knows no defeat. "Never defeated" means "never fighting." Winning means winning over the mind of discord in yourself. It is to accomplish your bestowed mission. This is not mere theory. You practice it. Then you will accept the great power of oneness with Nature. Don't look at the opponent's eyes, or your mind will be drawn into his eyes. Don't look at his sword, or you will be slain with his sword. Don't look at him, or your spirit will be distracted. True budo is the cultivation of attraction with which to draw the whole opponent to you. All I have to do is to keep standing this way. Even standing with my back toward the opponent is enough. When he attacks, hitting, he will injure himself with his own intention to hit. I am one with the universe and I am nothing else. When I stand, he will be drawn to me. There is no time and space before Uyeshiba of Aikido--only the universe as it is. There is no enemy for Ueshiba of Aikido. You are mistaken if you think that budo means to have opponents and enemies and to be strong and fell them. There are neither opponents nor enemies for true budo. True budo is to be one with the universe; that is, to be united with the Center of the universe. A mind to serve for the peace of all human beings in the world is needed in Aikido, and not the mind of one who wished to be strong or who practices only to fell an opponent. When anybody asks if my Aiki budo principles are take from religion, I say, "No! My true budo principles enlighten religions and lead them to completion. I am calm however and whenever I am attacked. I have no attachment to life or death. I leave everything as it is to God. Be apart from attachment to life and death and have a mind which leaves everything to Him, not only when you are being attacked but also in your daily lives. I do not make a companion of men. Whom, then, do I make a companion of: God. This world is not going well because people make companions of each other, saying and doing foolish things. Good and evil beings are all one united family in the world. Aikido leaves out any attachment; Aikido does not call relative affairs good or evil. Aikido keeps all beings in constant growth and development and serves for the completion of the universe. In Aikido we control the opponent's mind before we face him. That is, we draw him into ourselves. We go forward in life with this attraction of our spirit, and attempt to command a whole view of the world. We ceaselessly pray that fights should not occur. For this reason we strictly prohibit matches in Aikido. Aikido's spirit is that of loving attack and that of peaceful reconciliation. In this aim we bind and unify the opponents with the will power of love. By love we are able to purify others. True budo is the loving protection of all beings with a spirit of reconciliation. Reconciliation means to allow the completion of everyone's mission. The "Way" means to be one with the Will of God and practice it. If we are even slightly apart from it, it is no longer the Way. The devil-mind will go down in defeat and the Spirit rise up in victory. Then Aikido will bear fruit in this world. Without budo a nation goes to ruin, because budo is the life of loving protection and is the source of the activities of science. 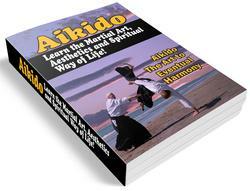 Those who seek to study Aikido should open their minds, listen to the sincerity of God through Aiki, and practice it. 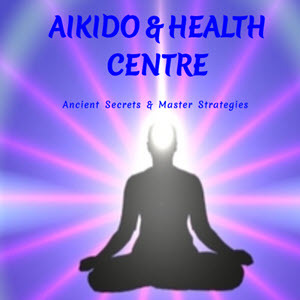 You should understand the great ablution of Aiki, practice it and improve without hindrance. Willingly begin the cultivation of your spirit. I want considerate people to listen to the voice of Aikido. It is not for correcting others; it is for correcting your own mind. This is Aikido. This is the mission of Aikido and should be your mission.